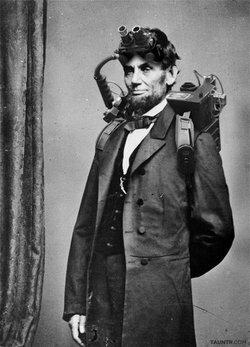 The Illinois Ghost Hunters was founded on February 12th, 2006 by Willy Adkins. For over a decade, IGH has been a respected group in the fiend of paranormal investigation. The group has toured and investigated alleged haunted locations all over Illinois and far beyond including Waverly Hills Sanatorium, Eastern State Penitentiary and Mansfield Reformatory. In 2010, IGH was featured in the award winning film “I Hunt Ghosts” as the group investigated the Egyptian Theatre in Dekalb, IL and the Tinker Swiss Cottage in Rockford, IL. In January 2014, Adkins stepped away from IGH to focus on a number of other investments. Long time friend of Adkins, Randal Deacon stepped into ownership and management of IGH during it’s next phase of existence. Deacon kept the group thriving and active, taking IGH to several new investigation sites including the Ross House, Black Moon Manor and Ashmore Estates. 2018 marks more changes in the history and future of the Illinois Ghost Hunters. On January 13th, 2018 Randal Deacon decided to retire paranormal investigation to concentrate his efforts on new business. In doing so, he felt it appropriate to return ownership to Willy Adkins to decide what the future of IGH should be going into the future. Adkins hasn’t yet made any decisions on what the next step will be for the Illinois Ghost Hunters, other than he hopes to see IGH thrive long into the future. In what format and under who’s management remains to be announced.